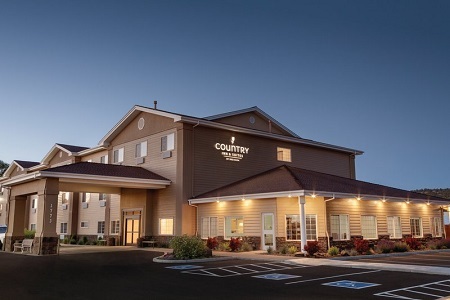 In the heart of central Oregon’s outdoor recreation paradise, the Country Inn & Suites® by Radisson, Prineville, OR blends the charm of the Old West with the contemporary comforts of present day. 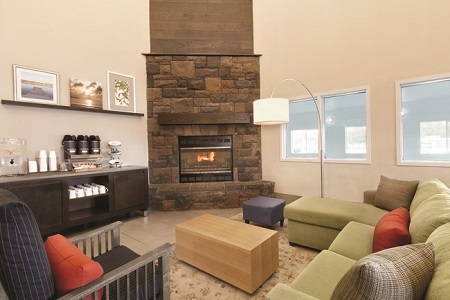 After a restful night’s sleep in one of our rooms or suites, brew a pot of coffee in your in-room coffeemaker to gear up for a hiking trip in Smith Rock State Park. Our location off U.S. Route 26 makes it easy to visit other area attractions like the Prineville Reservoir, A.R. Bowman Museum, Crooked River and Crook County Fair. 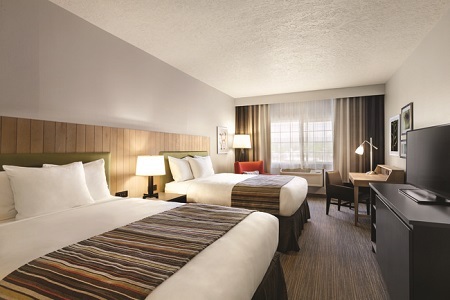 For true relaxation after a day in one of Oregon’s state parks, reserve a Whirlpool Suite with a plush king bed, a sleeper sofa, a wet bar and a soothing whirlpool tub for two. 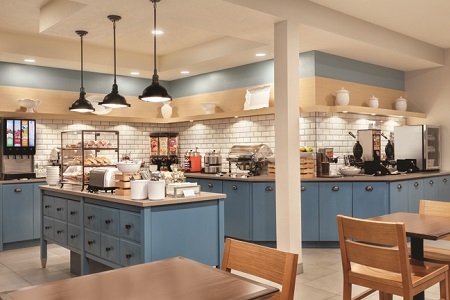 Before embarking on a hike through Smith Rock State Park, fuel up at our complimentary, hot breakfast. Our friendly staff wakes up before sunrise to prepare waffles, eggs and plenty of hot coffee so you can take on the day with confidence. If you need to reenergize after your sightseeing adventures, have a bite to eat at one of the nearby restaurants like TacoTime or Dillon’s Grill. Don’t feel like getting in the car? Walk over to Club Pioneer, a Wild West-themed eatery with an all-American menu. A.R. Bowman Museum – Housed in the historical Crook County Bank building, the A.R. Bowman Museum boasts two floors of exhibits that explore Prineville’s storied past. You only need to drive one mile west to find this family-friendly attraction. Meadow Lakes Golf Course – Meadow Lakes is the perfect place to practice your swing. Along the 6,783 yards of delicately manicured greens, golfers can find five sets of trees, nine ponds and more than 60 bunkers. If you’re up to the challenge, the 10-minute drive is well worth it. Prineville Reservoir State Park – Grab your camera, your swimsuit and a picnic basket and make the 20-minute drive to Prineville Reservoir State Park. If you’re an angler, pack your favorite lure and sit by the shore to catch catfish, crappie and largemouth bass. Share ideas using a flip chart or share photos using the projector in our 744-square-foot meeting space. The event venue can accommodate up to 50 people and provides every guest with free high-speed Internet access. A 55-inch TV with a DVD player is also available.